I made the mistake of expecting Avebury to be like Stonehenge. With the latter you're driving along and there is it, all laid out for you to admire from afar. At Avebury, one minute you're pootling into a village, being careful not to run over a dog or a man crossing the road while reading the paper, and the next minute THERE'S A NEOLITHIC STANDING STONE RIGHT IN FRONT OF YOU. Read about Avebury. Jock the Chartwell cat is an established celebrity - he even made it onto the BBC website this year. However, Jock is pipped to the post in our review because he failed to show up when we visited, leaving us to look at his whiskery little face on some jam. The Canons Ashby cat, on the other hand, is a self-starting go-getter. If they did The Apprentice for National Trust cats he'd walk it. He was in his element, greeting the visitors like a old-hand, which is even more remarkable when you consider that he doesn't actually live there. Read about Canons Ashby. I went to Corfe Castle in Dorset in May and it was brilliant. They serve scones the size of the cannonballs that once knocked the place down, and THEY HAVE CLOTTED CREAM ICE-CREAM. But the thing that impressed me most was its schedule of falconry history - starting with Norman falconry one weekend, then Medieval falconry the weekend after, then Tudor, then Civil War. They don't do thing by halves at the National Trust. Read about Corfe Castle. Moseley Old Hall near Wolverhampton has an absolute corker of a claim to fame: King Charles II was forced to hide there in 1651 when he was on the run from the Roundheads. You can still peer into the priest hole that he had to squash himself into. It was so good that I almost forgot to eat any scones. Read about Moseley Old Hall. The Vyne has one of the best names of any National Trust property (trumped by Horsey Windpump in my view) but it also has a fantastic claim to fame. A gold ring was found by a farmer in a field nearby in 1785. It had an inscription on it and so it was taken to the Professor of Anglo-Saxon at Oxford University for his views on its provenance. That professor was called J.R.R. Tolkien and he later wrote a few books about rings - it is believed that the ring you can see at The Vyne was his inspiration! Isn't that amazing? Read about The Vyne and its ring. There is a chance that Eastbury Manor House near Barking was used by Guy Fawkes and his Gunpowder Plotters back in 1605. It is admittedly a very small chance and it has admittedly been discredited by just about everybody that knows anything about it but surely it's still an opportunity for Guy hats and giant pencils in the shape of sticks of dynamite? The National Trust doesn't even mention it on their website. Read about Eastbury Manor House. I'm always intrigued by how National Trust properties take varying approaches to appearing on TV or in films. 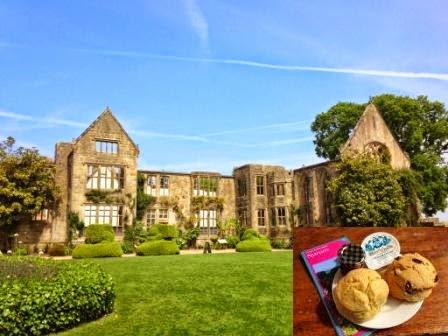 Some play it nice and cool - for example Scotney Castle, which just casually mentions that it was used in the Richard Gere film, Yanks. Others, like Basildon Park, go the other way: if you didn't know before you visited that it appeared in the Downton Abbey 2013 Christmas special, you would absolutely know it by the time you left. Read about Basildon Park. I absolutely love it when I visit a National Trust property and there's a book sitting innocuously on a shelf in the shop and you buy it and it turns out to be a rip-roaring page-turner that changes your whole impression of the place. It's only happened to me three times but Gibside near Newcastle-upon-Tyne was one of them. Wedlock: How Georgian Britain's Worst Husband Met His Match by Wendy Moore is a fantastic book and if I haven't badgered you into reading it yet then let me do so now. I'm struggling a bit now but I wanted to give a shout-out to Lyveden in Northamptonshire, and its lack of roof is its main feature. Lyveden is near my home town and was built by Thomas Tresham, who influenced my childhood in so many ways - often I walked down Tresham Street, or bought sweets from Tresham Street Stores, or failed to win a game of musical statues at a birthday party in Tresham Hall (I was robbed). Read about Lyveden New Bield. I have wanted to see Hadrian's Wall since I was about 8 and my friend Lisa went there with her history teaching dad. In 2014 I finally made it and do you know what? It absolutely lived up to thirty years of expectations. I didn't even mind that they had no scones. Read about Hadrian's Wall. And there you have it. You can also read my 2014 top ten National Trust properties for scones if you want to know more about the baking side of things. 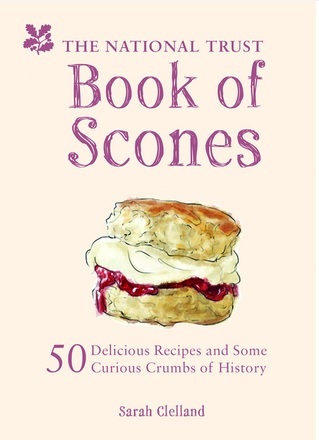 Otherwise, stay tuned for 2015 when we continue the National Trust Scone Odyssey. I know it's not the end of 2014 yet. I know there's still a chance that someone will ring me up tomorrow and say "I'm just off to Chirk Castle, do you fancy it?" But I am never knowingly optimistic, so I am doing my year-defining round-up of the Best National Trust Scones of 2014 now. 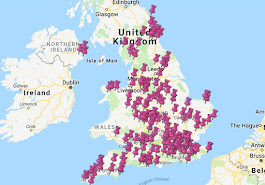 I managed to fit 52 National Trust property visits into 2014! 52! How DID I manage it? Partly by having a very obliging other half that doesn't mind living in semi-squalor and driving me around the country, to be very honest. And that's it for another year, scone fans. 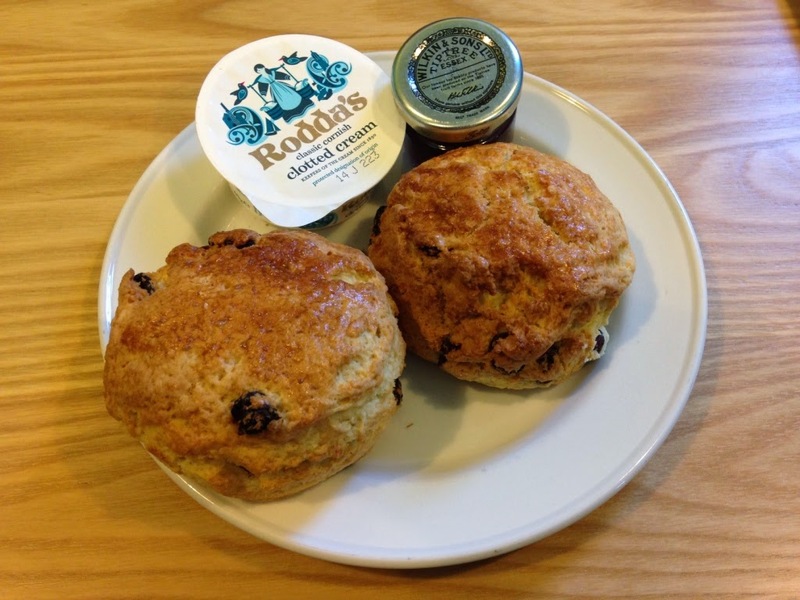 For more hints on where to find the best scones, you could also read about the top five National Trust scones of 2013. Thank you for reading and sending your encouraging comments and messages during the year. 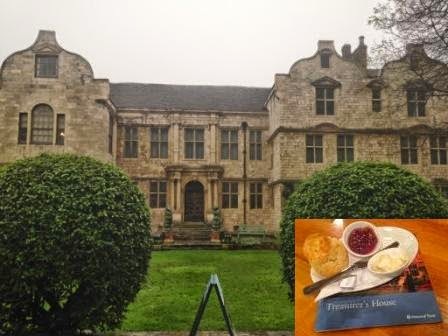 The National Trust Scone Odyssey continues in 2015 - with 62 properties done, we have <mumbles something that sounds a bit like 490> to go! It's the season of goodwill to all men AND to all National Trust properties that didn't have any scones the first time I visited them. So today I returned to Hughenden. I absolutely loved Hughenden on my first visit, despite the lack of scones. 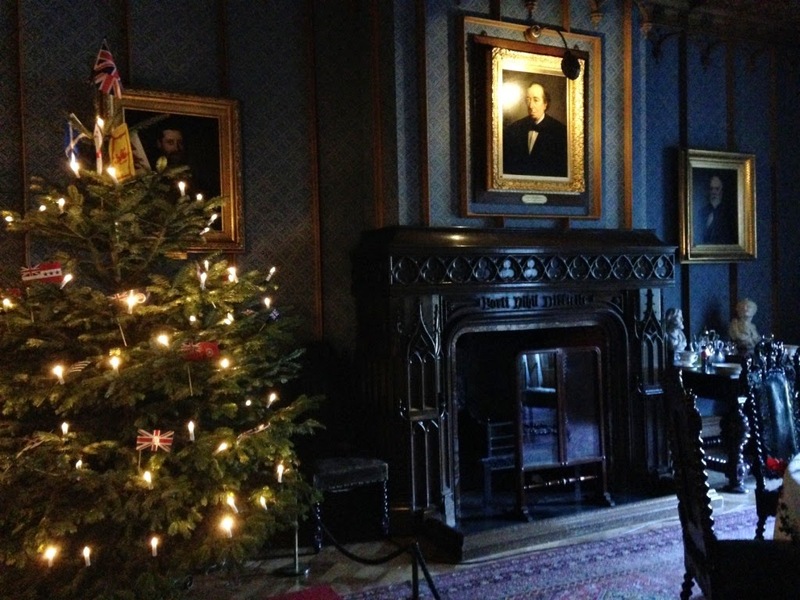 I wanted to go back at Christmas, as they deck the place out Victorian-style in honour of former resident Benjamin Disraeli, so back we went. Ominously, our day began almost identically to our first visit: we got lost and we had a big row. Last time, my map reading was at fault and we ended up driving round High Wycombe three times. This time I failed to interpret the sat nav correctly and we ended up driving in the completely wrong direction for four miles. But I shouldn't have worried. This time the Hughenden cafe had scones galore, and what fine scones they were too. A cream tea consisted of two mighty specimens - only Sheffield Park has served bigger scones this year I think - with a choice of jam. They were delicious. There was a brass band playing carols, mulled wine, marshmallows for toasting...it was all very festive. There weren't any horses pretending to be reindeer like there were at Polesden Lacey last year but you can't have everything. And to be honest, I was just so relieved to find some scones that I didn't mind at all. 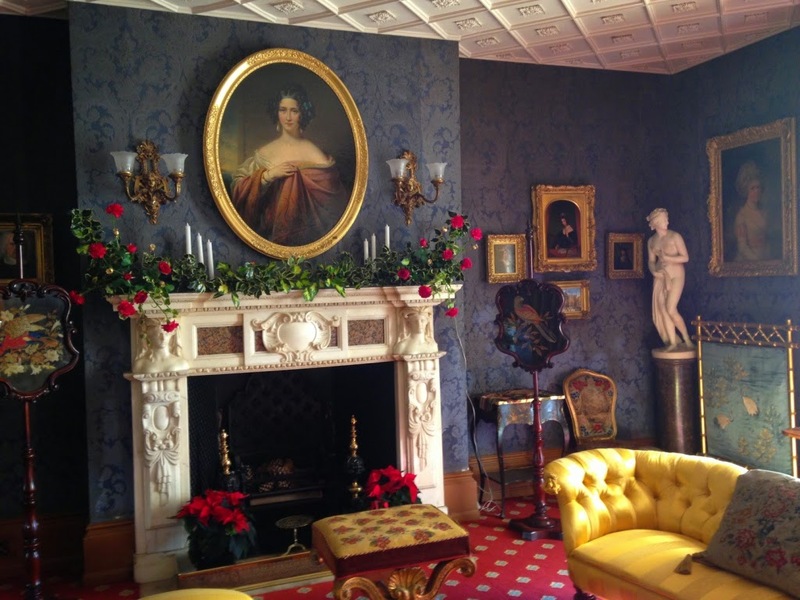 My previous post about Hughenden and Disraeli covers the history of the place, so I won't repeat it all here. There was some new excitement to report, however: a couple of weeks ago Hughenden announced that they are the proud owner of the largest horse-chestnut tree in Britain! Imagine! I was very excited about this, rather overlooking the fact that a) the Hughenden estate covers more than 600 acres and b) you can fit an awful lot of trees into a 600 acre estate. We wandered around for five minutes saying "could that be it?" "what about that one?" until we realised we were never going to find it, so we gave up. 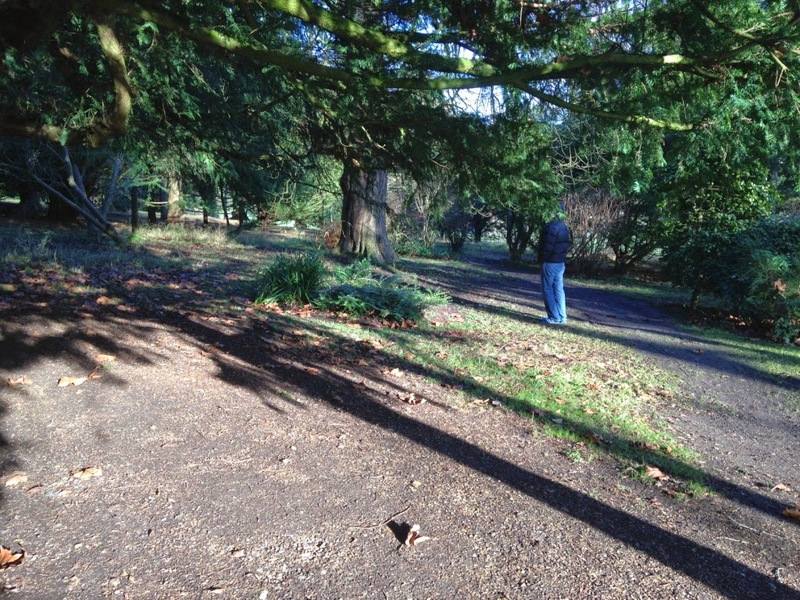 Scone sidekick: "Are you the oldest horse-chestnut tree in the UK?" Tree: "I'm not even a horse-chestnut tree." So Hughenden comes off the list of National Trust properties that don't do scones - hurrah!